The gloves are definitely off at the United Nations as negotiations continue over the proposed global Arms Trade Treaty (ATT), where Bellevue’s Alan Gottlieb and Julianne Versnel are raising alarms about a handout distributed Thursday morning by Control Arms, one of the gun control groups pressing for the most extreme provisions. The latter, they suggest, is a thinly-veiled reference to world gun control regardless of what the U.S. Constitution might say. Gottlieb and Versnel are in New York representing the Citizens Committee for the Right to Keep and Bear Arms, the Second Amendment Foundation and the International Association for the Protection of Civilian Arms Rights (IAPCAR). 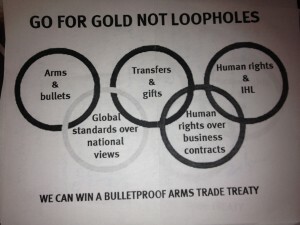 Versnel supplied Examiner with the image above that makes it clear the gun ban crowd – a coalition which includes the International Action Network on Small Arms (IANSA) and Oxfam International – are after small arms and ammunition. In a telephone interview, Versnel made it clear what that means. “The ATT is, in essence, an attempt by the rest of the world to impose their view of civilian firearms ownership on us, and negate the Second Amendment,” she said. Negotiators recessed Thursday morning but were to resume in the afternoon. Gottlieb said there are “rumors” that a slightly revised document, discussed by this column yesterday and posted on the IAPCAR website, might be introduced. 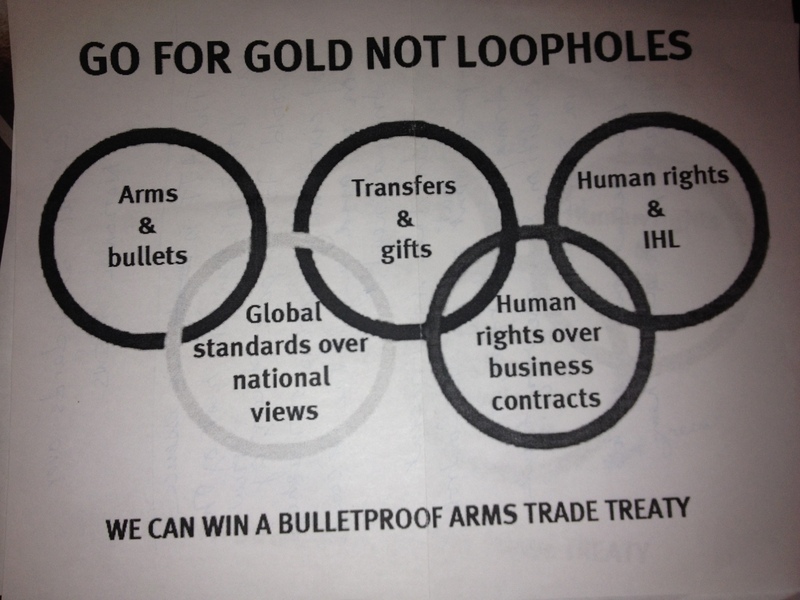 Various gun rights organizations have been lobbying against this treaty for weeks. If the Obama administration signs it, the document must still be ratified by the U.S. Senate, and after intense lobbying by the National Rifle Association, that doesn’t seem likely. Unfortunately for gun prohibitionists, the proverbial horse has left the barn on that subject. With millions of semiautomatic rifles and shotguns now in circulation, banning them is out of the question unless the president thinks he can charm gun owners into surrendering them. In that, the president and the United Nations are in the same leaky boat, with a gun rights tidal wave coming right at them.